In July 2017, Jon Davies successfully attempted two hiking marathons, climbing over 7,600 feet in the breathtaking lunar landscapes of Iceland’s famous Laugavegurinn Trail as part of one of Action Challenges most demanding ‘ultra’ events. Day one, 26 miles and just over 4400 ft (as high as Ben Nevis). Day two, ANOTHER 26 miles and just over 3,210 ft (as high as England’s highest peak, Scafell Pike). Thank you for the support you’ve shown Jon in his challenge. 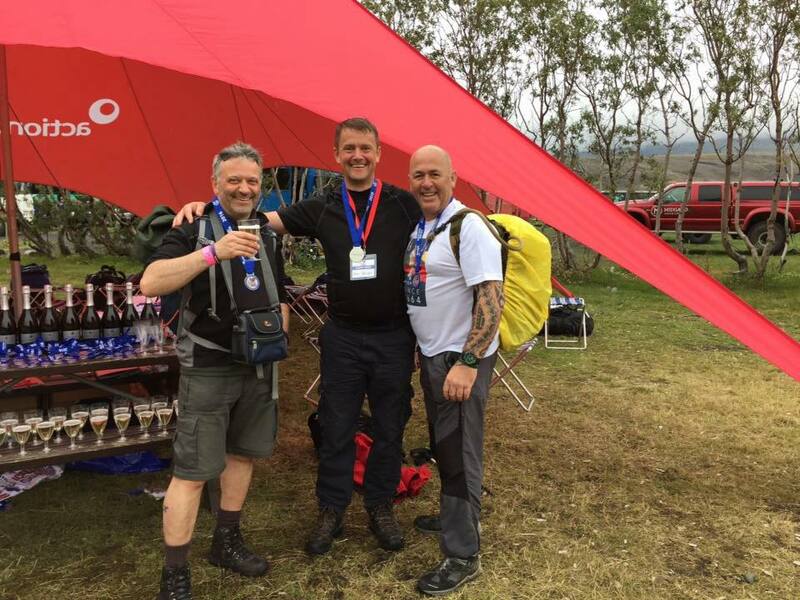 You can review Jon’s progress and look at some of the stunning Icelandic Scenery on Jon’s twitter @jonmdavies (https://twitter.com/jonmdavies) on Twitter or on Facebook ‘Jon D :: Iceland Challenge’ (https://www.facebook.com/jdiceland/). Less than a month to go until I fly off to Iceland to complete one of Active Challenge’s most demanding events, two marathons over two days, climbing over 7,600 ft. I’ve been training now for about three months and am entering the final phase. Until recently I was completing one walk a weekend increasing the distance and speed week by week and now, it’s two and it’s proving every bit as hard as I’d expected. The good thing is that I am fully prepared and 100% confident I can complete each day’s marathon with time to spare. All the hard work (and there have been times when I’ve questioned my decision), pales into insignificance when I think about the challenges facing my son, Ethan. All the obstacles he’s overcome to get where he is now and all the many, many others he has ahead of him. In the same way I’ve been slowly building up my endurance Ethan has continued to slowly make progress. There’s no doubting he has a long way to go but with the support we give him I know he’ll keep moving forward. I’ve always said he’ll always require a lot of support, but that’s the thing with children like Ethan, he will, but no one can say with complete confidence that he’ll never make any more progress. Alongside all the therapies he does, it’s through things like the swimming programme offered by the group that he has a chance to be happy, like any other child, and it’s the recollection of his face when he’s splashing around in the pool that will keep me going on through the massive Icelandic challenge ahead. To help me give back a little more, please go to my Virgin Giving page, donate and share. Start fundraising today with VMG! Start your page on Virgin Money Giving today, it's quick and easy.